They hail from every corner of the globe, from Lithuania, to Angola, to Japan. There are sons of everyday Joes and ex-NFL stars. There are centers who stand more than 7 feet and guards who aren’t tall enough to dunk. There are McDonald’s All-Americans who coaches have fawned over since middle school and late bloomers who were hardly recruited at all. Here’s a look at the 68 best college basketball players in this year’s NCAA tournament. Remember, the rankings are based not on NBA potential but on a player’s impact on this year’s college basketball season. Stats matter, but so does the level of competition a player faced and the amount of success his team enjoyed. This has been the season of Zion, from the dazzling dunks, to the massive blocks, to the busted Nikes, to the triumphant return. Is he the best one-and-done ever — even better than the likes of Carmelo Anthony, Kevin Durant and Anthony Davis? If he leads Duke to the national title, he’ll have a compelling argument. Some guys on this list are known for their remarkable athleticism. The Big Ten player of the year’s gift is his knack for finishing at the rim with deft floaters or layups from impossible angles and directions. It’s an understatement to say the two-time SEC player of the year didn’t arrive at Tennessee with much fanfare. He likely would have enrolled at Wofford or an Ivy League school had Rick Barnes not watched the chunky forward play and recognized his potential if he got in shape. Is he really the next Russell Westbrook? That’s likely a stretch, but their college highlight reels have some striking similarities. Nobody made a bigger sophomore leap than Culver, who evolved from promising role player as a freshman to this season’s Big 12 player of the year. His scoring kept Texas Tech afloat early this season as the Red Raiders figured out how to replace five of their six top players from last year – All-American Keenan Evans and one-and-done Zhaire Smith among them. Overshadowed by playing alongside college basketball’s best player, Barrett has put together an impressive freshman season in his own right. 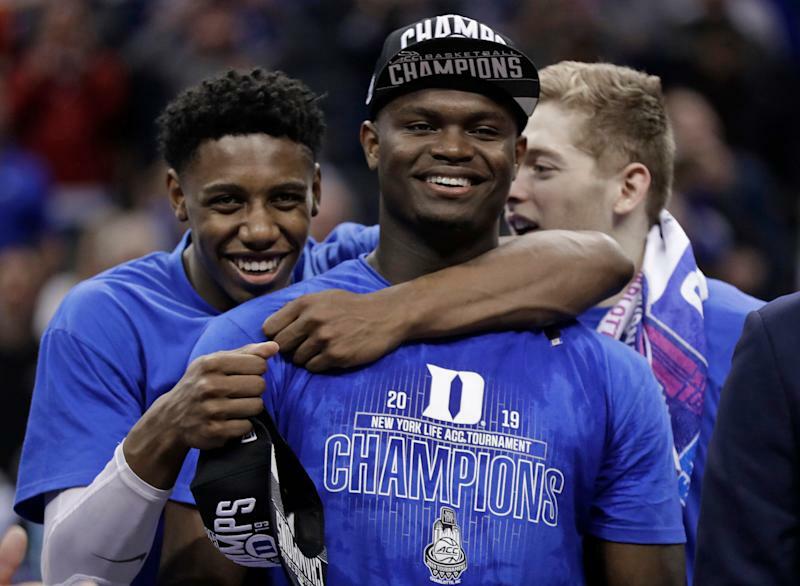 He averaged 26.2 points in the six games Zion sat out with a knee injury, though if there’s one knock on his game, it’s that he has a bad habit of sometimes trying to do too much. Why does Virginia have its best offense of Tony Bennett’s tenure? One reason is Hunter’s ability to create when it bogs down and the shot clock is set to expire. The future lottery pick can score at all three levels, but his greatest strength is his face-up game from the elbow, where he can drive or jab step, rise and fire. Hard to believe that one of college basketball’s best players only had a scholarship offer from lowly San Jose State out of high school. 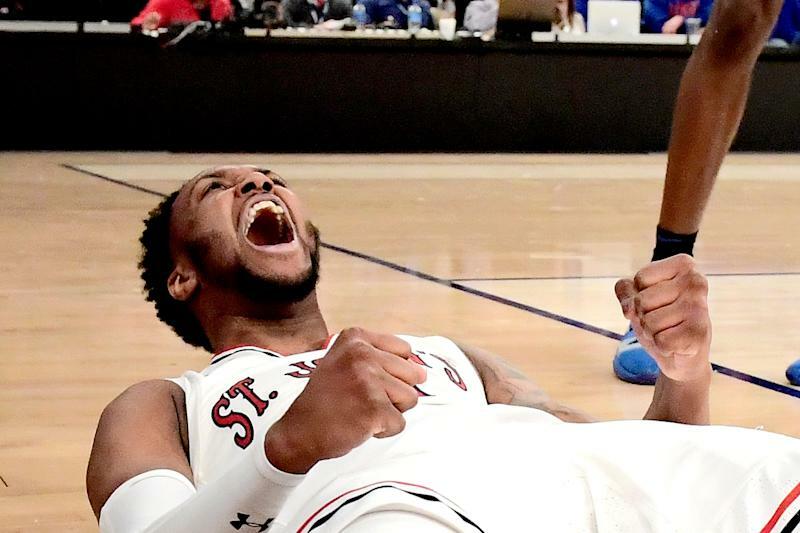 The latest transfer to flourish at Gonzaga is an elite defender and rebounder who has made great strides with his shooting ability since high school. Ask coaches the best way to play Wisconsin, and they’ll tell you one key is being cautious about double-teaming Happ. In addition to averaging 17.5 points and 10.1 rebounds, Happ is one of college basketball’s best passing big men, as evidenced by his two triple-doubles this season. The most explosive scorer in college basketball, Howard has 10 games of 30 or more points, including this jaw-dropping 53-point outburst at Creighton. The son of a Beninese father and a Japanese mother, Hachimura is Gonzaga’s international success story. The high-scoring forward has a chance to become the third Japanese native to play in the NBA and the first to make a major impact. In a season of turmoil at Kansas, Lawson has been the steadying presence. The 6-foot-9 Memphis transfer averages 19.1 points and 10.3 rebounds, compensating for his lack of elite athleticism with his footwork and skill. Few players score more while dribbling less than Johnson, one of college basketball’s premier catch-and-shoot specialists. The 6-foot-9 forward is shooting 46.5 percent from behind the arc this season and averaging 16.9 points per game. A huge reason Virginia has added more ball screens to its blocker-mover motion offense is that Jerome is such an effective playmaker off them. He’s averaging 13.5 points, 5.3 assists and 4.1 rebounds, while shooting 42.6 percent from the perimeter. The elegance. The enthusiasm. The hair. Is there any doubt Coby White is a top-five must-see player in college basketball this season? For a 10-game stretch from Jan. 22 to Feb. 23, Washington was first-team All-American good. He averaged 21 points during that time, about nine more than he averaged over the rest of the season. Sixty-four percent of Guy’s field goal attempts are from behind the arc this season, and he has been sinking them at a lethal rate. The catch-and-shoot specialist is shooting 46.3 percent from 3-point range. Though Edwards is averaging 23 points per game this season, the Purdue star’s efficiency continues to diminish. In his last 11 games, Edwards is shooting a worrisome 32.7 percent from the floor and a paltry 22.8 percent on 3-pointers. The origins of one of the most distinctive names in college basketball can be traced to England. Schofield’s father was in the Navy for 24 years and was stationed in London before his son was born. He heard a commercial for Admiral Insurance and thought it was a powerful name for his son. 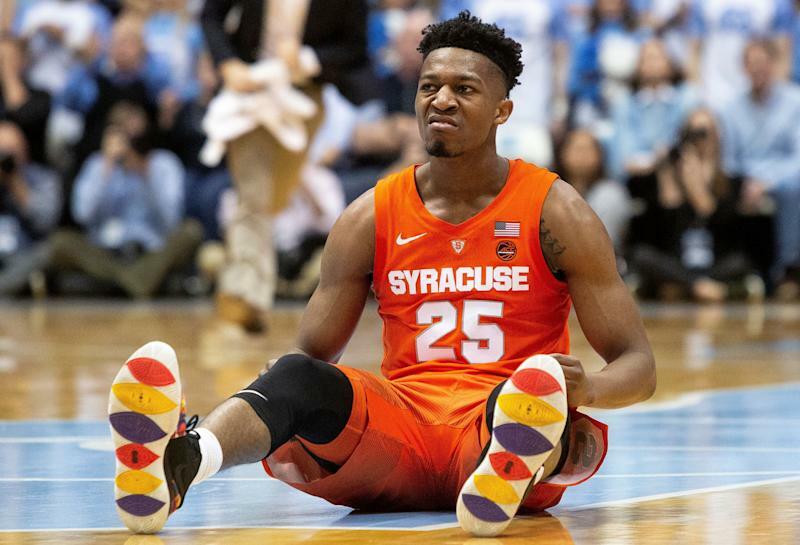 Scoring is still at the heart of Ponds’ game, but he has also tried to become more effective as a distributor after NBA scouts told him that’s what they needed to see. Ponds is averaging a career-best 5.2 assists for the Johnnies. Bob Huggins on Barry Brown: "He’s terrific. I compare him to Jevon Carter in what he did here in his maturation process. He is a terrific defender and he has obviously become a very good offensive player." Underrated and underhyped nationally, Merrill has been the driving force behind Utah State’s reemergence. He leads his team in scoring, assists and steals, he defends opposing teams’ best perimeter scorer and he’s always first to the ground diving after loose balls. A native of New Haven, Connecticut, Waters attended Yale coach James Jones’ camps as a kid and at one point considered playing for the Bulldogs. Now the LSU star will face his hometown team in the opening round of the NCAA tournament. The ultimate volume shooter, Powell isn’t bashful. He’ll pull up from the edge of the mid-court logo or try a step-back 3-pointer early in the shot clock, and he makes enough of them that Kevin Willard can’t even complain. A promising role player in Tony Bennett’s structured system at Virginia, Shayok has blossomed into a star at free-flowing, fast-paced Iowa State. He has flirted with a 50-40-90 season while also making an impact defensively. As Ja Morant soaked up the majority of the Ohio Valley Conference’s national media coverage, Windler quietly posted a season that was almost as impressive. The 6-foot-8 forward flashed NBA potential by averaging 21.4 points while shooting 67 percent inside the arc and 43 percent behind it. The most encouraging aspect of Fernando’s development this season has been his passing. If a double team comes, the 6-foot-10 forward consistently finds a cutter or open spot-up shooter. An Achilles injury sidelined Caroline in the Mountain West semifinals, but the senior is expected to play in the NCAA tournament. Good thing, because Nevada will need toughness and energy from the son of former NFL star Simeon Rice against 10th-seeded Florida. If Thybulle isn’t the most disruptive defender in the country, he’s very near the top of the list. According to Washington’s sports information department, the 6-foot-5 guard is the only player in the past 20 years to average at least three steals and two blocks per game. After leading Buffalo to its best season in school history, the statsheet-stuffing guard isn’t lacking for confidence when it comes to his postseason ambitions. Q: What’s next for your team? The Wofford star’s 42.8 percent 3-point shooting doesn’t even fully underscore how dangerous a perimeter marksman he is. The only players in the country shooting a higher percentage from behind the arc than him all have at least 100 fewer attempts this season. Undersized to play down low in the NBA but not a consistent enough shooter to play the wing, Murphy sometimes goes overlooked nationally since he’s not an elite pro prospect. That’s a shame because he’s an elite college player, a nightly double-double threat who has carried Minnesota to the NCAA tournament. Defense is the trademark of the Cincinnati program, but Cumberland is the biggest reason the Bearcats still have a top 50 offense this season. The 6-foot-3 guard averages 18.8 points per game and is his team’s go-to option every night. One half of college basketball’s best brother tandem, Martin has helped transform Nevada from a middle-of-the-pack Mountain West team into a darkhorse Final Four contender. His brother Cody is the superior defender and playmaker, but Caleb is the more gifted scorer. Ben Howland began rebuilding the Mississippi State program in 2015 around two heralded four-star freshmen. As seniors, Weatherspoon and Aric Holman have rewarded Howland by taking the Bulldogs to the NCAA tournament. It’s a little troubling that Davis enters the NCAA tournament trying to overcome a hip injury suffered in Sunday’s American Athletic Conference title game. At his best, the 6-foot-1 guard is a talented scorer and playmaker. Simpson’s presence has been among the biggest catalysts for Michigan’s identity shifting from finesse to toughness. Michigan’s standout point guard is a defensive wrecking ball and proficient distributor who never shies away from contact attacking the rim. All the fans in his native Wisconsin who questioned whether Herro would be good enough to make an immediate impact at Kentucky sure look silly now. Over his last 10 games, the freshman guard is averaging an efficient, well-rounded 16.3 points while also chipping in 2.7 steals per game. An improved perimeter shooter and versatile defender, Paschall has been one of the biggest reasons Villanova has survived the loss of four of its top six players from last year’s national championship team. He’ll draw interest from NBA scouts after averaging 16.5 points and 6.6 rebounds per game. If the mid-range jumper is a dying art, Battle is doing his best to keep it alive. Almost 45 percent of his attempts are two-point jumpers, according to hoop-math.com, a product of him emulating players like Kobe Bryant who made the mid-range game their specialties. How many times is this shot going to be replayed if we get a Kentucky-North Carolina rematch in the Elite Eight? Nobody has had a bigger breakout sophomore season than Nwora. A role player who averaged 12 minutes per game last year and didn’t make a single start, Nwora has nearly tripled his points per game this season and become Louisville’s best player. I’m using this space to highlight one of my favorite plays of March so far. Watch Harper pass up a layup to get his teammate a 3-point look and then run interference to make sure that shot is uncontested. Reddish has been an enigma this season, immensely talented yet at times frustratingly passive and miscast as just a floor-spacing spot-up shooter. He scored at least 20 points in eight games this season but also has been held to single digits 12 times. The point guard who made this pass wasn’t a Bob Cousy award finalist. Let that sink in for a moment. When Iowa looks right — which admittedly hasn’t happened often the past few weeks — Cook is a huge reason why. He provides interior scoring punch and commands double teams, freeing Iowa’s bevy of outside shooters for open looks. He had 29 and 9 against Zion-less Duke in Virginia Tech’s victory over the Blue Devils last month. It probably won’t be this easy the second time if they meet again in the Sweet 16 next week. The health of Kansas State’s skilled forward might be the key to the Wildcats’ opening-round NCAA tournament game against UC Irvine. Kansas State needs Wade’s ability to shoot from the perimeter to unlock a defense built around always having two big men on the floor at all times to protect the rim. He’d be higher on this list if Leonard Hamilton gave him more playing time — a lot higher in fact. Kabengele only plays 21.1 minutes a night, but Florida State’s leading scorer’s per-40-minute stats come out to 24 points and 11 rebounds per game. In an up-and-down freshman season for Johnson, this shot to force overtime against Seton Hall was the highest of highs. One of Duke’s few issues is Jones’ unwillingness to take threes and inability to consistently sink them, but the freshman point guard makes up for that with playmaking and perimeter defense. He played 119 of 120 minutes in the ACC tournament, capping a strong weekend by tallying 18 points and six assists in the title game against Florida State. If Fran Dunphy’s farewell season is to last beyond the First Four, Alston is likely to be a big part of it. The senior guard has scored 20 or more points in Temple’s last eight games, helping the Owls secure an NCAA bid. Better than Zion? No. One of the best mid-major players in the country? Absolutely. The driving force behind one of the biggest turnarounds in college basketball this season, Tyree led Ole Miss in scoring at 18.5 points per game. The New Jersey native eclipsed 20 points in 17 games this season. Hard to believe Oni was once committed to going to Division III Williams College. The 6-foot-6 Yale junior averaged 17.6 points, 6.3 rebounds and 3.5 assists this season, drawing interest from NBA scouts. When Brown arrived at Auburn four years ago, the program was largely irrelevant on a national level. That’s certainly no longer the case now as Brown has led the Tigers to an SEC regular season title last year and an SEC tournament title this March. Three of Saint Mary’s four leading scorers graduated from last season’s 30-win team, however, Ford made sure the Gaels didn’t slip far. The junior guard averaged 21.3 points per game and shot 42.3 percent from behind the arc. What the Big Ten’s freshman of the year lacks defensively he makes up for with his skill, effort and competitiveness. The pick-and-pop specialist averages a team-best 15.1 points, much-needed production for a Michigan team whose calling card is at the other end of the floor. The ultimate streak shooter, Norvell is a difference maker for Gonzaga when he’s on target. Remember last March? The athletic 6-foot-10 freshman is averaging 13.7 points and 7.2 rebounds. Imagine how dominant he’d be if he also turned up his motor and consistently played hard. Why was Arizona State an unexpected bright spot in a season of darkness for the Pac-12? Dort was a big reason. A physical slasher with a mean streak, Dort averages 16.1 points and also relentlessly harasses opposing guards. Georgia State has busted brackets before. Simonds gives the Panthers a chance to do it again. An injury sidelined Wigginton for the opening month of the season and by the time he returned, the role of Iowa State’s centerpiece was no longer available to him. It hasn’t been an easy season for the heralded sophomore, but now he is playing his best basketball at the right time. When you’re the tallest player in college basketball, you can do this to opposing players who are 6-foot-7. You can also shoot a record-setting 75.4 percent from the field and impact the game at both ends. The Northern Kentucky star delivered March’s first magical moment, a game winner to beat Oakland in the Horizon semifinals and help the Norse keep their NCAA tournament hopes alive. Three years ago, Yale ousted Baylor in the first round of the NCAA tournament behind 31 points from Mason. Now the transfer will lead Baylor in the tournament in an opening-round game against Syracuse. 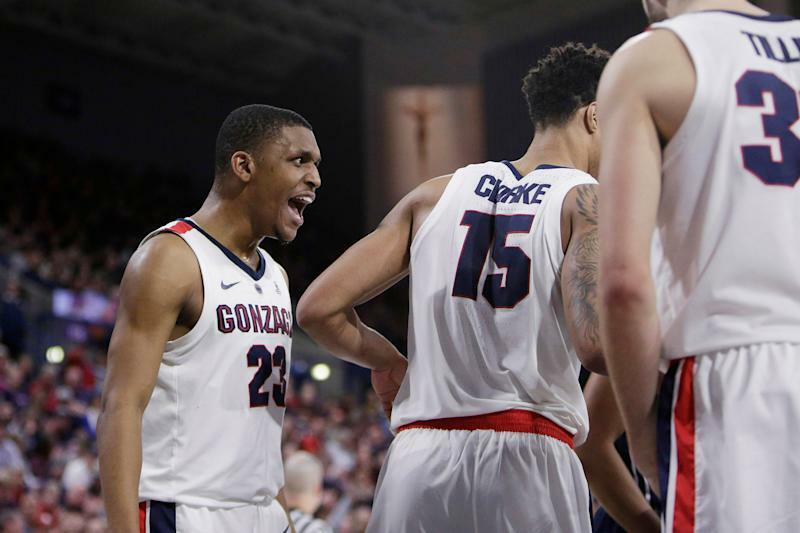 Questions about Perkins’ reliability have dogged Gonzaga the past two seasons, but he has improved as a decision maker as a senior. He has averaged 11 points and 6.5 assists while also posting a better than 3-to-1 assist-to-turnover ratio.